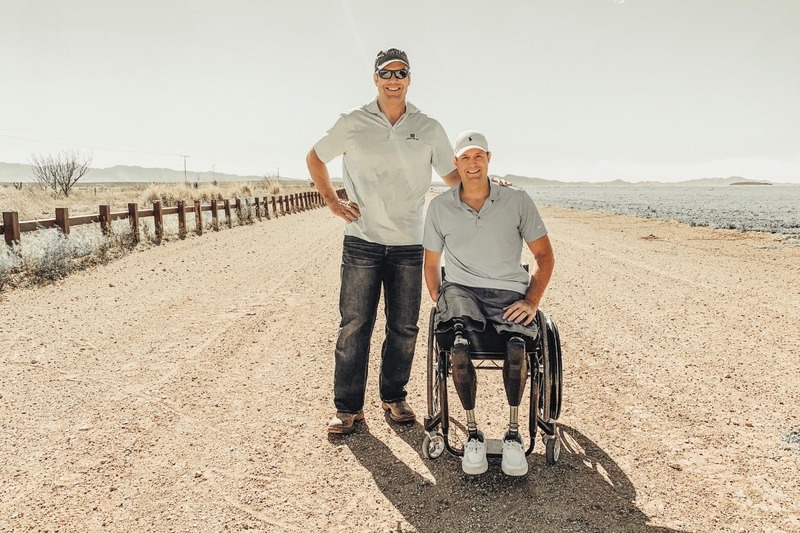 My name is Brian Kolfage and I'm a triple-amputee war veteran. I take the security of the American people very seriously which is how I find myself building wall on the southern border. If you are sick and tired of watching politicians in both parties obstructing President Trump's plan to build a wall on our southern border, then you've come to the right place. We The People are coming together to start building segments of President Trump's wall on private property and the best part is, we're going to do it for a fraction of what it costs the government. Since January I've made numerous visits to our southern border to scout potential sites, negotiate with land owners, and to help document the National Emergency that needs our immediate attention. To help me got the job done I've attracted a team of brilliant and accomplished Americans that includes Former White House Chief Strategist Steve Bannon and Kris Kobach who many people think will be President Trump's next choice to head the Department of Homeland Security (which oversees the Border Wall). It's an impressive group who I'm proud to be working with everyday to start getting your wall built. Even the New York Times had to report that President Trump gave our project his blessing. 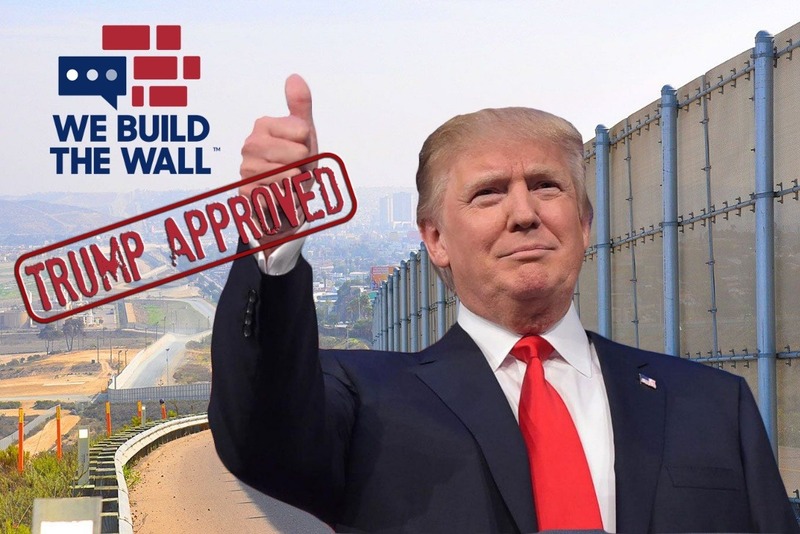 As we prepare to break ground in a matter of days on the privately funded wall that detractors insisted could and would never happen, their desperation to derail our project from becoming a reality is setting in. Doubters have been trying to convince the American people who want a wall and helped us come this far, that they'll never get the protection along the border that we promised. However, their efforts have failed once again. While they were trying to prevent our progress, we were several steps ahead of them in our extensive preparations to build the wall. You may have seen misleading stories that GoFundMe kicked us off their platform and refunded everyone's money. It's not true which is why you can still click to donate right here on this GoFundMe page. The total amount raised represents the total amount we've raised in pledges and contributions on GoFundMe and from off-platform sources like checks and transfers. How much do we still need to raise? In a word, more. We are still calculating the cost of building on every piece of land that a private landowner would allow us to build your wall on and other land we could potentially acquire or build on. We currently have the resources to begin building several segments that will stretch across several miles of the border but our goal is to keep fighting until the ENTIRE border is secure. If we have to raise billions to get the job done, that's what we're going to do. We are building the wall mile by mile, section by section for a FRACTION of the cost that the US government is paying. One of the most rewarding parts of leading this project has been getting to know the Angel Families who have lost loved-ones at the hands of illegal aliens who had no business being here in the first place. Their stories are heart wrenching and they serve as potent reminder of what's at stake. It's time to put a stop to the open border carnage. If you are still debating whether or not to donate, I encourage you to watch this video below of We Build The Wall Board members and Angel Families Steve Ronnebeck and Mary Ann Mendoza. We are about to break ground! Thank you all for your support. We are about to hit the cartels right in the face and cut off a major trafficking area and it's only possible because of your generosity! Every single night our guys on the ground bust HUNDREDS of illegals coming across the property -Just watch the video! – Mr. Bannon was CEO of Donald Trump’s presidential campaign. At the White House, he served as Chief Strategist and Senior Counselor to the President. Mr. Bannon is the founder of Citizens of the American Republic, a 501(c)4 that advocates for populism and economic nationalism. He is an award winning documentary filmmaker and the former Executive Chairman of Breitbart News. A Goldman Sachs M&A banker, Mr. Bannon has a Master’s degree in National Security Studies from Georgetown University and an MBA from Harvard Business School. He was a Surface Warfare Officer serving aboard the USS Paul F. Foster (DD-964) in the western Pacific, Arabian Sea and Persian Gulf. He served at the Pentagon as a Special Assistant to the Chief of Naval Operations. WATCH: We held a Town hall in Tucson this past Friday, with Steve Bannon, Brian Kolfage, Kris Kobach, and many more!